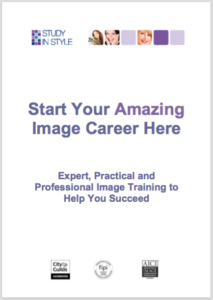 Three Image Consultant Training Courses designed to help you work in the Image Industry. You can choose to study any of our Image Consultant Training Courses – the short videos below will give you an introduction to the different courses, who they are for and what is included. Covering all the Core Image Consultancy Skills and perfect for you if you want to work with both private and corporate clients; work with both men and women and want to deliver workshops and seminars. NB All the content in the Personal Stylist Course is covered in the Image Professional Course. Covering all the Essential Image Consultancy Skills and perfect for you if you want to conduct Colour Analysis Sessions and focus on Personal Styling for Women OR Men. This course is a condensed version of the Image Professional Course so once you are established, you can easily upgrade and study the extra modules if you wish. Both The Image Professional and Personal Stylist Courses are available for you to study Face to Face in a small group environment or at home through our Home Study DVDs. Covering the key elements of the Essential Colour Analysis, Women’s Style and Business Planning & Marketing Modules; this online course would be perfect for you if you want to dip your toe in the image industry and focus on becoming a professional Personal Shopper. Once you are established, you can easily upgrade and study any of the extra modules. If you want to spread the cost of the Image Professional Course or the Personal Stylist Course this can be arranged over 3 fee-free instalments. If you want to spread the cost of the Personal Shopper Course this can be arranged over 2 fee-free instalments. Study in Style is not a franchise, but we help and guide you, as you set up and run your own independent image business. Plus you will become part of the Study in Style Consultant Network. The fees include all the information and equipment needed to start your business – there are no hidden costs, minimum orders or costly extras. We pride ourselves on teaching simple but effective systems and processes for you to learn, and more importantly, for your clients to understand and implement so that they can become your raving fans. There are no formal exams, but to give you experience and to test your knowledge there are a number of assessments to complete that we will guide you through. Study in Style is one of only a select few Accredited Training Providers whose image consultant training content meets the standards set by The Federation of Image Professionals International (FIPI) and the City & Guilds, Masters Award in Image Consultancy.